Opel is to reopen sales and production in Russia as part of Groupe PSA growth plans. The move, which comes after the carmaker exited the market at the end of December 2015 under a restructuring plan from former parent firm General Motors, will see an initial line-up of the Grandland X, Zafira Life and Vivaro be available in Russia from the fourth quarter while further models will follow. 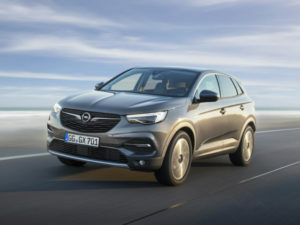 The Grandland X will continue to be produced in Opel’s Eisenach, Germany, plant, but the Zafira Life and Vivaro Transporter will be built locally in PSA’s Kaluga plant. The vehicles will initially be offered via a network of 15-20 dealers in the largest cities, which is expected to double in the mid-term. Opel said growth based on new export markets is at the core of the PACE! company plan revealed following PSA’s 2017 acquisition of Opel/Vauxhall. The goal is to generate 10% of the Opel sales volume outside of Europe by the mid-2020s. To achieve this, the brand will further strengthen its presence in the export markets in Asia, Africa and South America where it is already present today and will enter more than 20 new export markets by 2022. It’s recently announced partnerships with new importers for Morocco, Tunisia, Lebanon and South Africa while Opel has joined the local Groupe PSA organisation in Ukraine.